Furious Lebanese citizens have taken to social media to slam the government’s failure to resolve an eight-month long trash crisis, which has made parts of the capital Beirut resemble a municipal dump. “Disgusting, shameful identity Lebanon is forging for itself,” Lebanese citizen Mouin Jaber posted in a status on Facebook. “We're descendants of Phoenicians alright…we've descended so far down the sewage pipe we're practically swimming in our own sh*t…But hey, we still have a great nightlife right?” Many Lebanese trace their roots back to the ancient civilization. 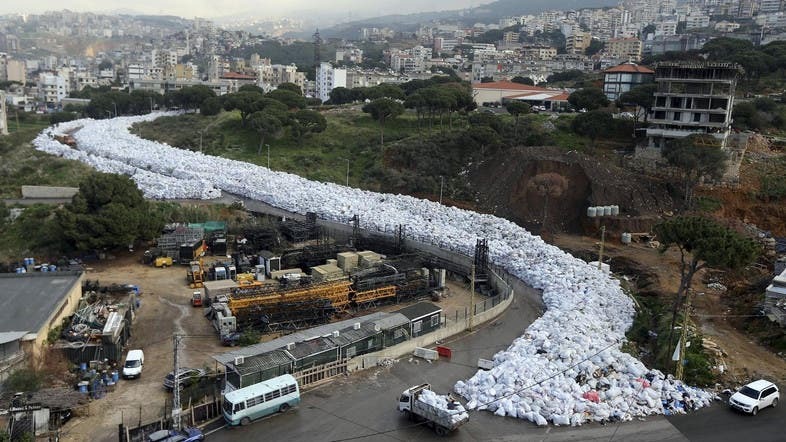 Relax guys, it's not the first time CNN or the western media talks about trash in Lebanon. They always talk about our government. CNN: Lebanon Trash Problem Not Going Away!Trash can be Human and some of them are not going away! Lebanon’s trash crisis has plagued the country since July 2015 when the infamous Naeema city dump was shut down, and political deadlock over where garbage could be dumped ensued. The government canceled its plan to export the garbage to Russia last week, which appeared to bring the problem back to square one. Mountains of trash chokes the city's air and rivers of rubbish flow through and around the streets. Lebanon's gridlocked government has been thrown in further turmoil this week after several Gulf countries warned their citizens against traveling to the country. The United Arab Emirates, meanwhile, announced a total ban. Lebanon is a popular tourist destination for Gulf citizens, and a key source of government revenue.